(Clearwisdom.net) On February 7, 2007, the No. 5 Division of the Taiwan Power Company's Labor Union held its annual sports meeting at the National Chingmei High School. During the meeting, several Falun Gong practitioners who work in the company taught some 300 fellow employees the first Falun Gong exercise. Falun Gong practitioner Mr. Han was transferred to this branch about two months ago from the corporate office. 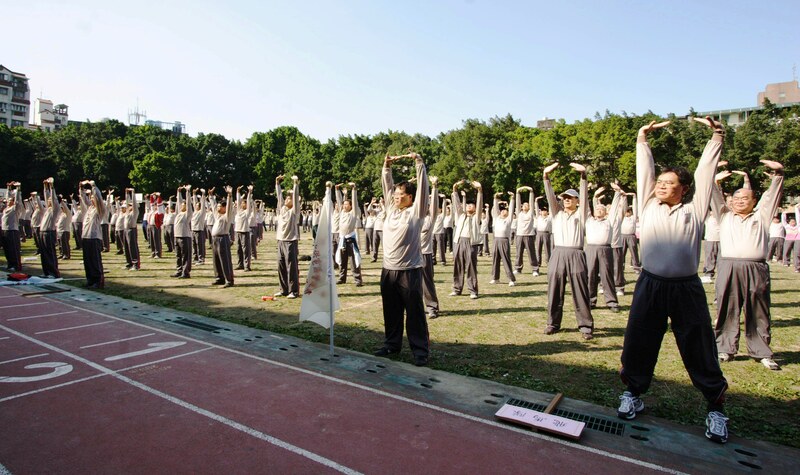 After he learned that the branch would have a sports meeting, he introduced Falun Gong to the branch management team and was given a 10-minute time slot to teach fellow employees the first exercise of Falun Gong. Practitioner Mr. Zhen also works in the branch. He said that the first exercise consists of eight simple stretching movements that can open all blocked energy channels. 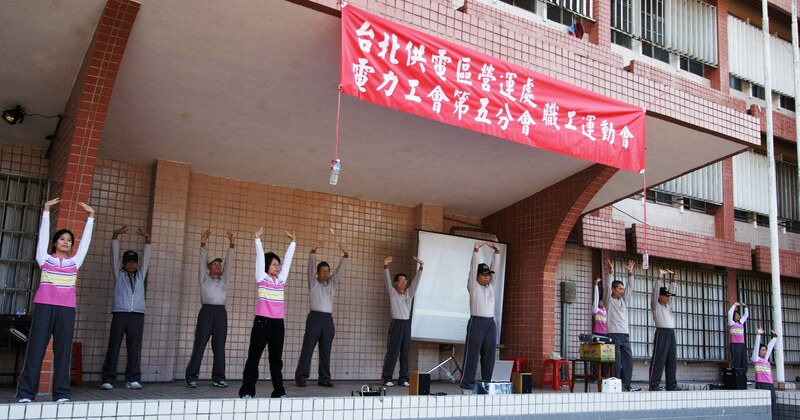 He hoped that fellow employees would get a flavor of Falun Gong from learning the first exercise. Mr. Han said that he has benefited a lot from the practice during the past four years and believes that the practice is beneficial to both mind and body. In day-to-day life, he said that he had learned from Falun Gong teachings how to discipline himself strictly and treat others with benevolence. Han added that there are always some form of friction or conflict among coworkers. As Falun Gong teaches practitioners to take self interests lightly, it is very good for working professionals. Indeed, quite a few of my coworkers asked me about Falun Gong. When they learned that we were going to demonstrate and teach Falun Gong, many came to find out more. The Taiwan Power Company has about 26,000 employees and is the major electricity supplier of the island. Mr. Han said that there were many practitioners in different branches of the company. Practitioner Mr. Zhen led the team to do the exercise. Ms. Wang is one of his long-time fellow workers. She said that Mr. Zhen used to complain about all kinds of illnesses, but that she had not heard any complaints after he started practicing Falun Gong. Several of Mr. Wang's coworkers and relatives are practitioners, who encouraged her to learn the practice. Wang said that she had chronic back pain and had tried to find a Falun Gong practice site. She went to two practice sites, but somehow she was not able to find any practitioners. When she saw several practitioners instructing fellow employees in Falun Gong, she was very happy.